If you want to be a Jedi, you need some training first. You can't just show up on day one and win lightsaber fights while using the force to throw stuff around the room. 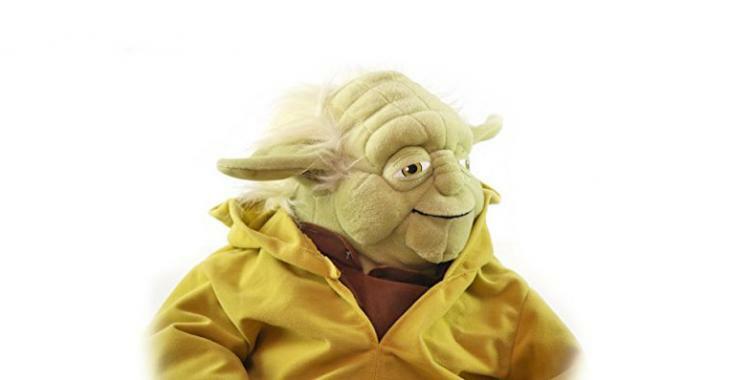 And the best trainer around is Yoda. Seek him out on Dagobah. 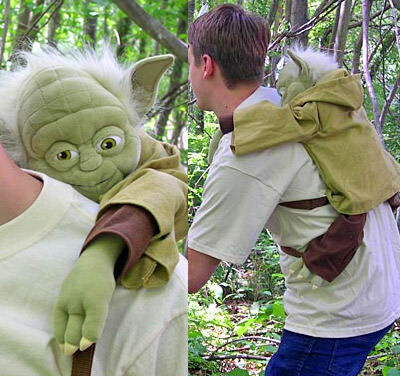 If you can't find him there, just get this cool Yoda backpack. That way he can be on your back, training you as you run around passing your tests. 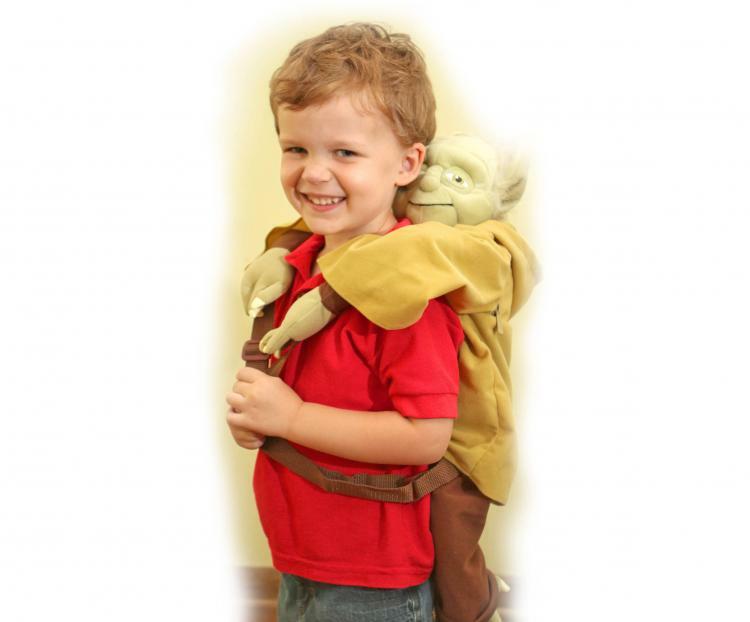 Just strap Yoda on your back like you would any other backpack and it'll look like you're giving him a piggy-back just like Luke Skywalker did in the Empire Strikes Back. His arms are connected right to the shoulder straps! 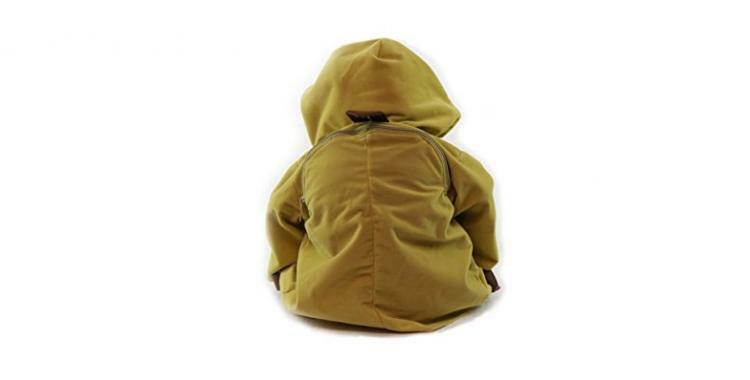 And there's even a big zipper pocket on the back to store your items. Since this backpack can't talk, I guess it's up to you to decide when your training is up. 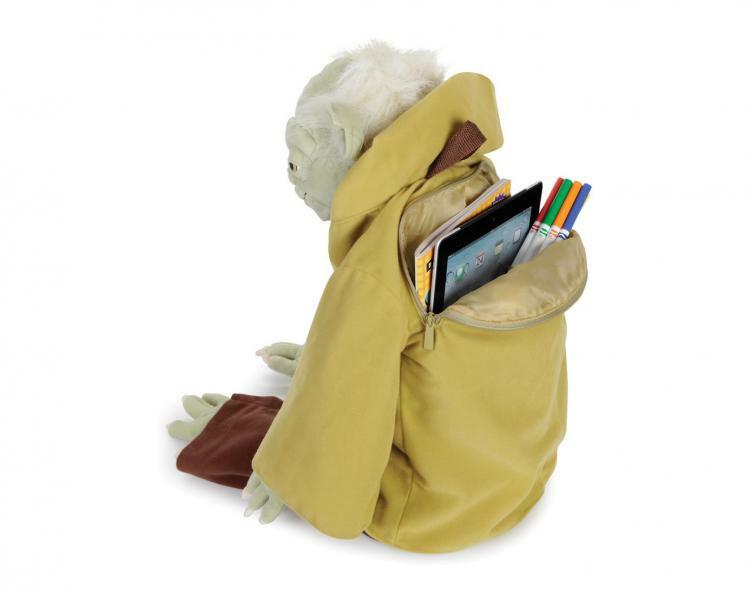 Aside from learning some cool Jedi powers, this backpack will help you carry all of your stuff, while flying your Star Wars geek flag high. 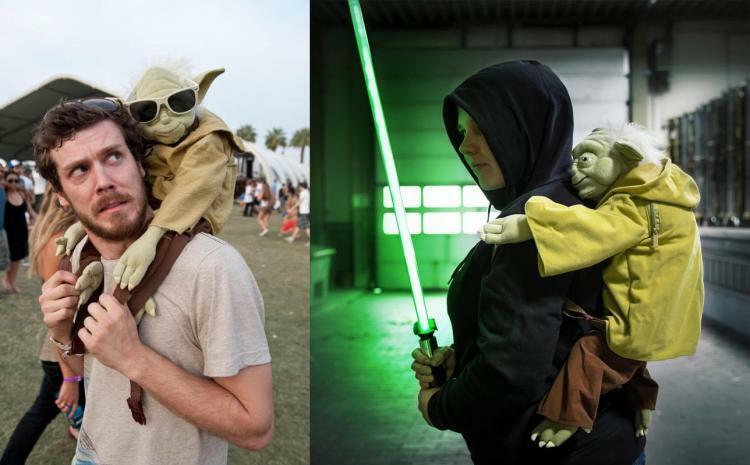 Isn't it about time you had a soft and cuddly Yoda on your back? I think every Star Wars fan needs one of these. Although it's probably meant for kids, that's not to say us extra geeky adults can't use one as well. Sure we'll be outcasts to society, but wouldn't it be worth it? 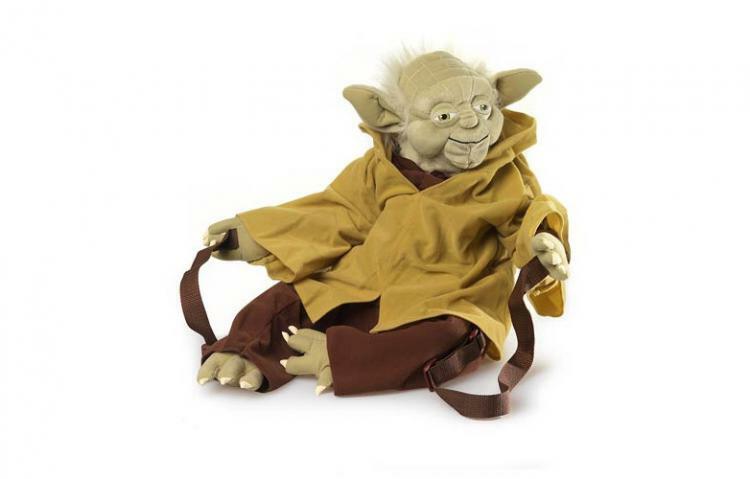 The adjustable straps and carry pouches make this Yoda back-buddy backpack great for most sized humans, it's made in the USA using the highest quality materials, and Yoda measures about 24 inches tall. Do or do not. There is no try. 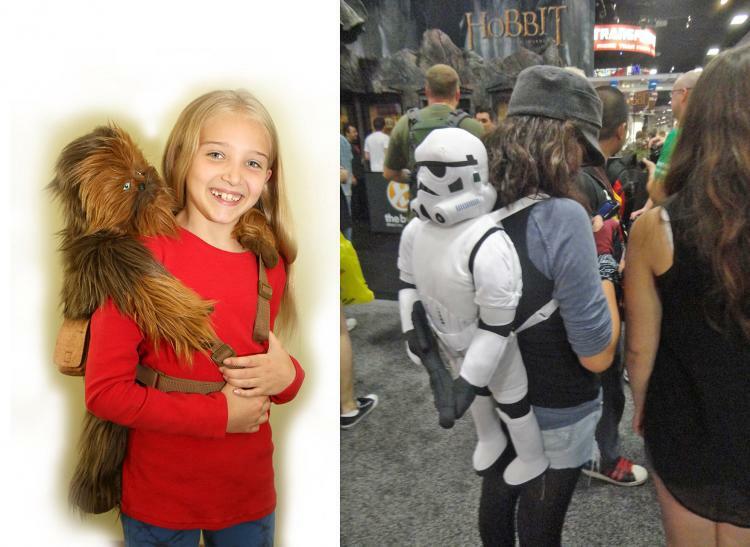 Not only is there just Yoda you can give a piggy-back to while simultaneously hauling your items around, but there's also a Chewbacca version, a Stormtrooper version, a Darth Vader version, an Ewok version, and a Wampa version. Now you can recreate the scene from "Empire Strikes Back" where Luke trains in the swamp. 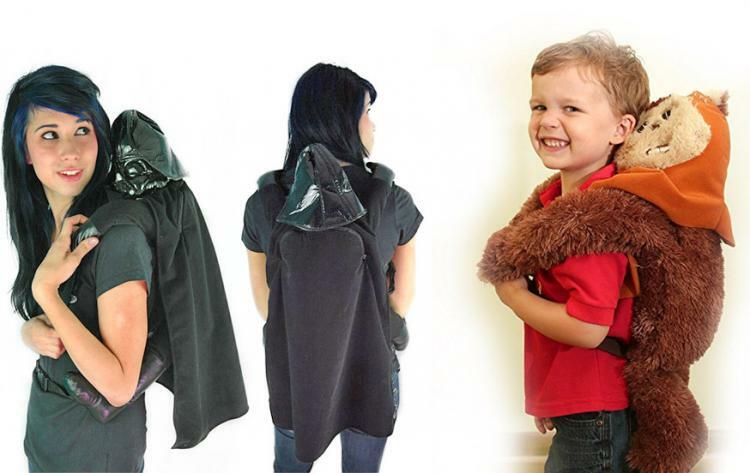 This is a great gift for Star Wars fans. 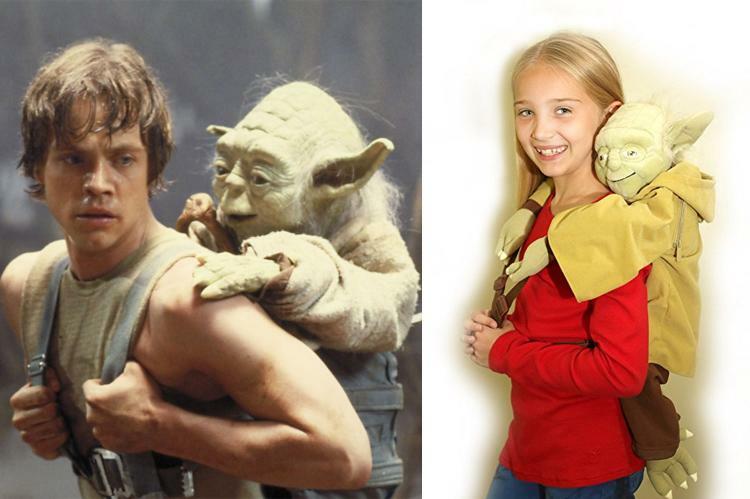 Check out the Yoda Piggy-back Backpack in action via the video below.